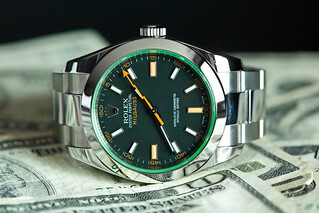 Rolex Milgauss GV. One of my favorites. 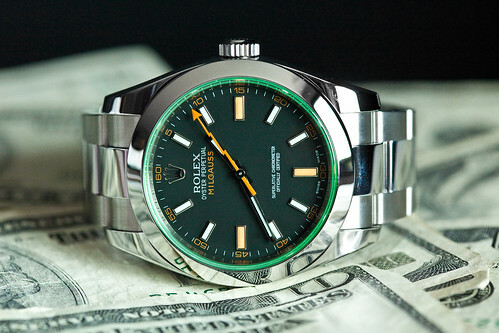 It's good to be green. I didn't have any green Canadian money :P So behold the power of $10 bills.